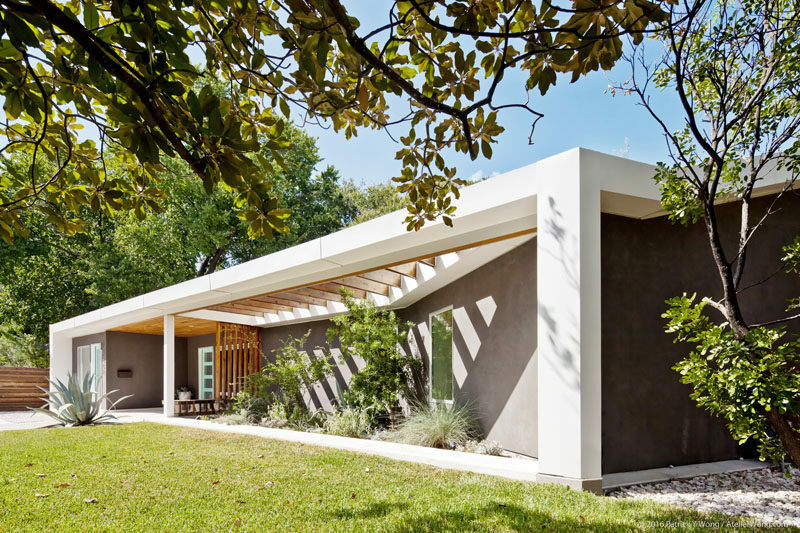 co(X)ist Studio have designed the remodel of an original 1962 ranch-style house in Austin, Texas, and as part of the renovation, they’ve created an addition that splits the rectangular house to create a ‘Y’. 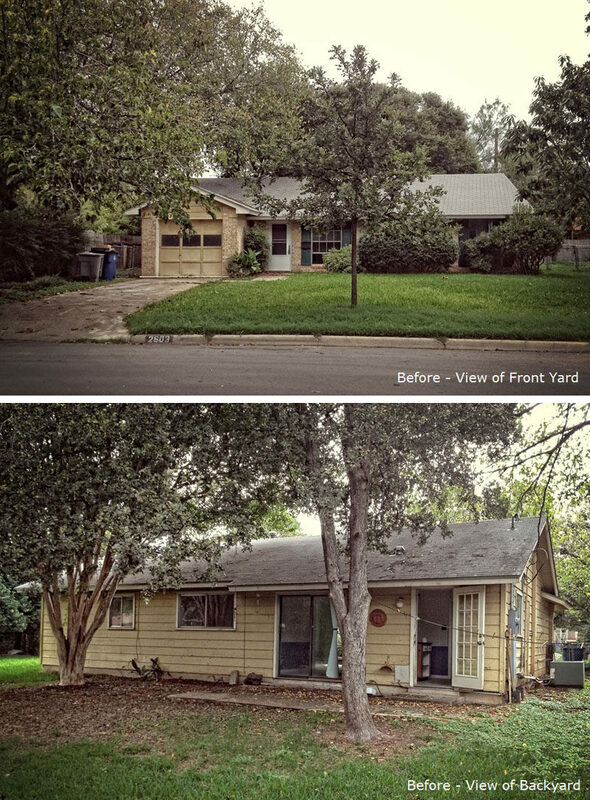 And here’s a look at the ‘after’ floor plan that shows the various changes to the house, like how the garage is now a home office, and the new ‘Y’ shape. 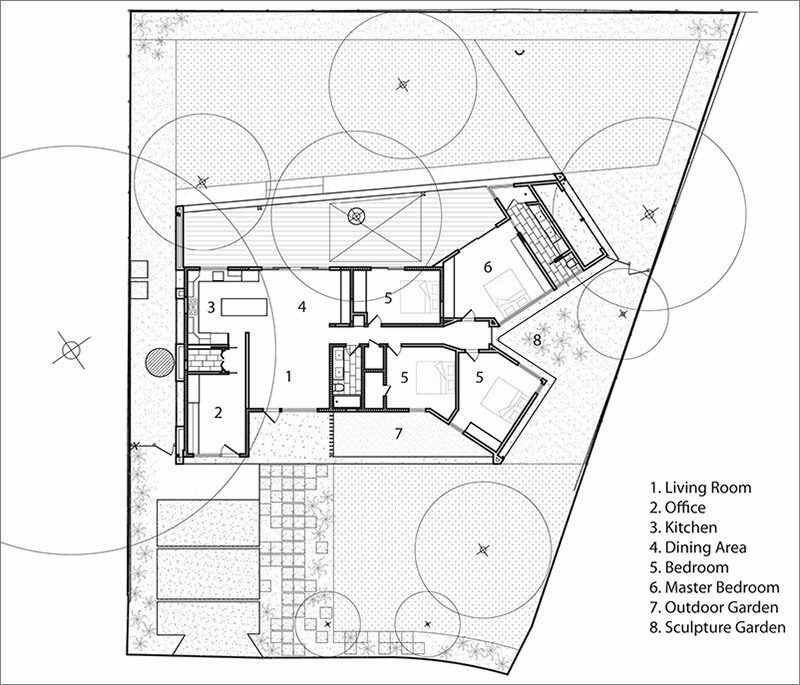 At the rear of the home, a back porch was added that runs the entire length of the house. 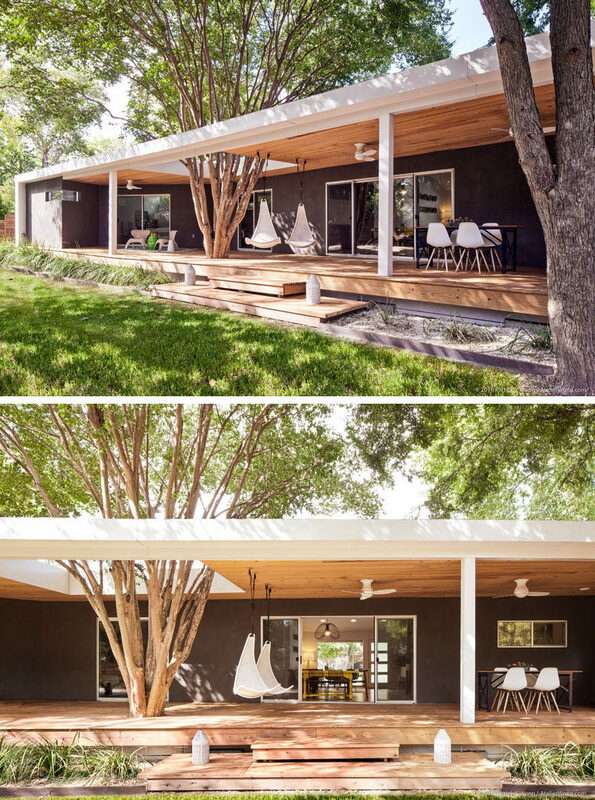 The porch canopy has a cut-out to allow the existing crepe myrtle tree to stay in its original location. 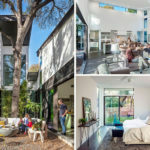 Stepping inside, the main living areas have an open concept floor plan. 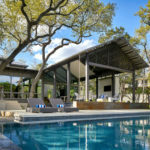 Sliding doors create an indoor/outdoor living experience, which is perfect for taking advantage of the warm Texas weather. In the kitchen, white cabinets are paired with a large island that features a wood counter. 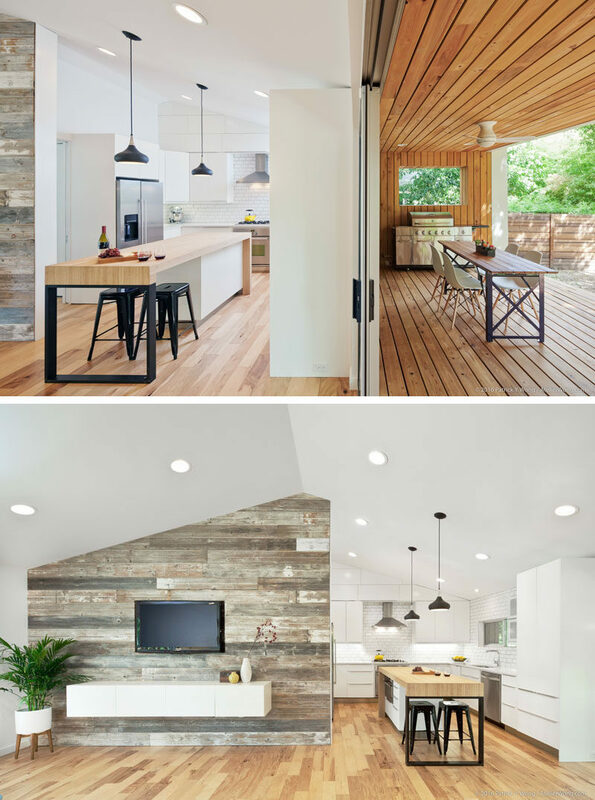 Beside the kitchen is a wood accent wall that’s home to the television and floating cabinet. Opposite the kitchen is the dining room, with a bright yellow dining table and a dark accent wall with plenty of storage. On the other side of the room is the living room. 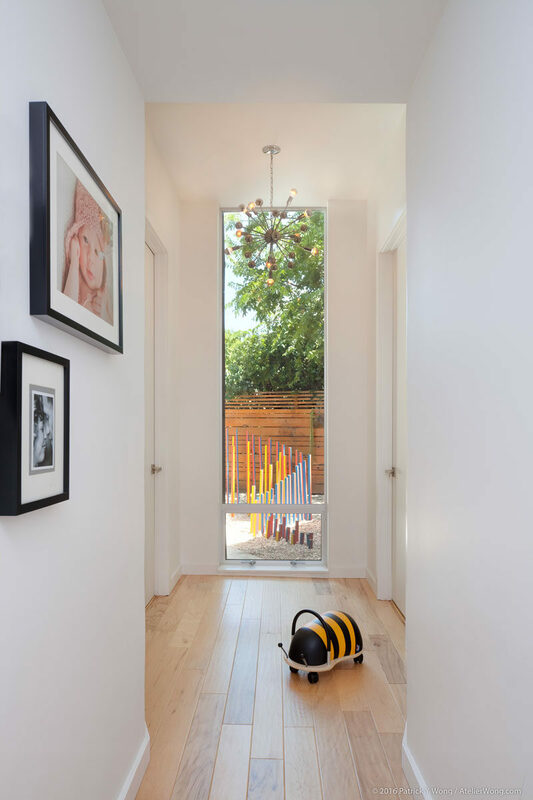 A small light-filled hallway provides access to the new bedrooms and gives a glimpse of the sculpture garden outside. 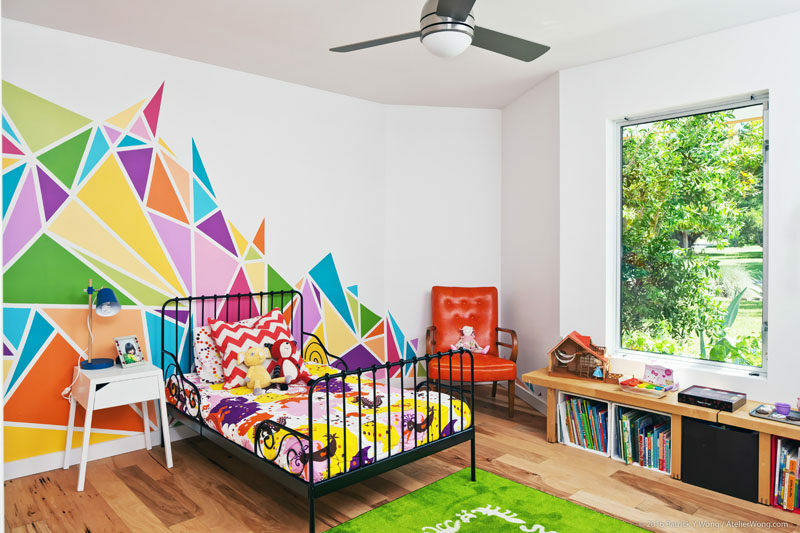 In one of the bedroom, a large, colorful and graphic mural brightens up the white walls, while a window gives views of the gardens. 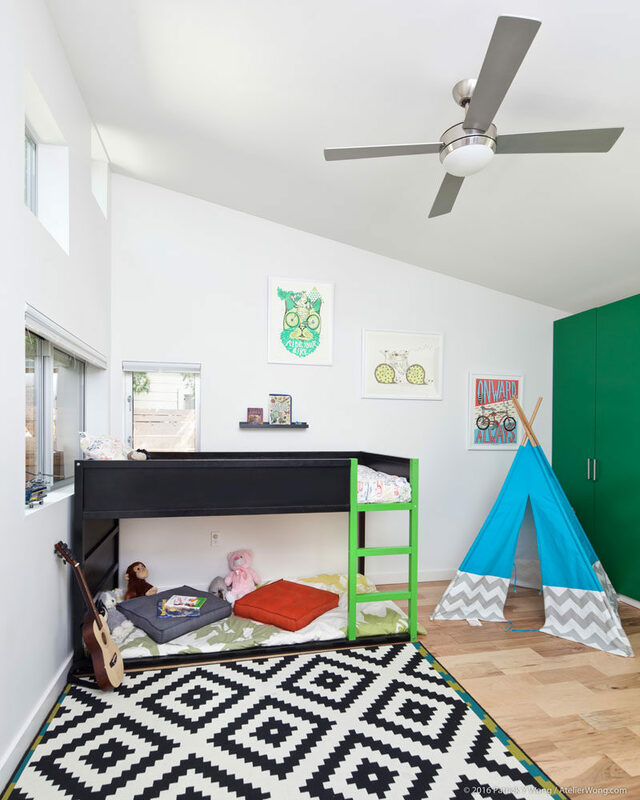 In another kids bedroom, a high sloped ceiling creates a sense of openness and allows for a raised bed to be included. A new bathroom was also added in the extension. 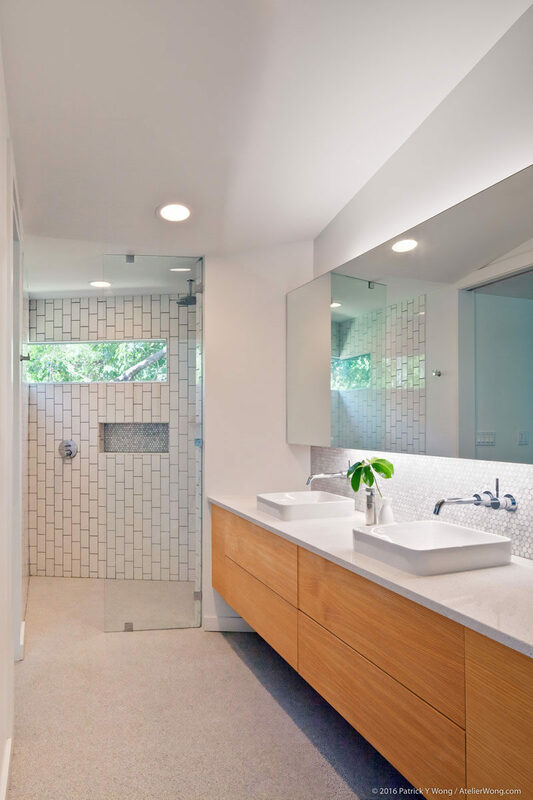 It has a large double-sink vanity and a walk-in shower with a glass shower door and white tiles. 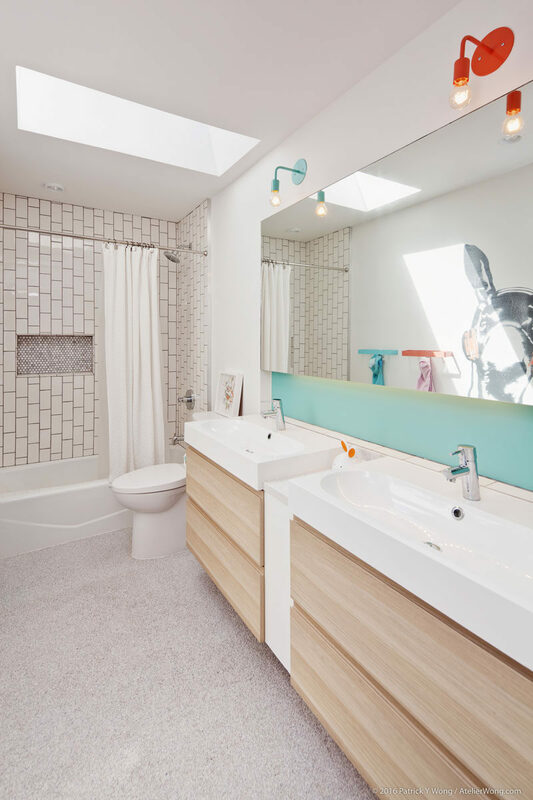 In the other bathroom, that sits just behind the living room and before the bedrooms, there’s a skylight, colorful lamps, backsplash and towel racks, and a fun animal mural on the wall.